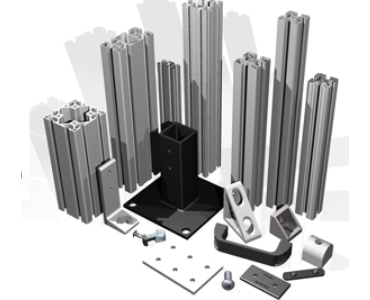 Parco has 50-plus years of designing, fabricating, and assembling innovative t-slotted aluminum extrusion solutions for the manufacturing, automotive, and medical industries. Parco improves your workplace environment while optimizing your productivity and increasing your efficiencies. Parco t-slotted aluminum extrusion is quick, flexible, and professional looking.Parco offers product solutions for many applications in the medical, automotive, and manufacturing industries - solutions that increase productivity, product workflow, and the safety of your employees. R.R.Floody Company is a Parco Aluminum Extrusion distributor in Northern Illinois, Iowa and Southern Wisconsin. We offer design support to help our customers solve their applications.